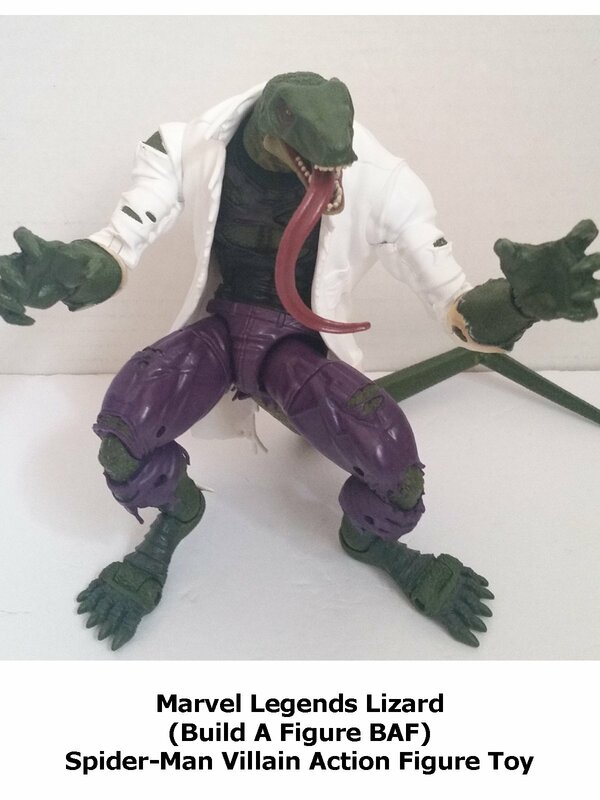 Marvel Legends Lizard Build A Figure BAF review. This is the BAF that is part of the Spider-Man wave and takes 7 parts to complete. Lizard is a long time foe of Spider-Man and this action figure is well sculpted, detailed and articulated. A fine addition to any Spider-Man collection.